At Campuzano, our adult training programs are designed to improve you physically and mentally. Along with strength and flexibility, we strive to help our adult students gain confidence and courage to face the every day. Our training combination of kickboxing, wrestling and grappling is the perfect recipe for building strong, lean muscle that will make you feel more confident day to day while improving your athletic & competitive performance. Our combination of aerobic and anaerobic fitness strategies will keep your body guessing allowing you to consistently improve your metabolism without constantly hitting plateaus. You are going to love how energized you feel! Your new and improved metabolism can only lead to one thing. Weight and more specifically FAT loss. As your body fat is replaced with strong lean muscle you will start to notice the pounds come off while your body improves. At Campuzano, each student has the opportunity to grow and improve as they learn new skills, gaining new belts along the way. Our process will encourage you to stay the course developing perseverance and confidence. Campuzano MMA is truly an full-body workout experience that will challenge and improve almost every muscle in your body. When you train in Jiu-Jitsu, wrestling and even kick-boxing you will be amazed at how comprehensively effective our workouts are. 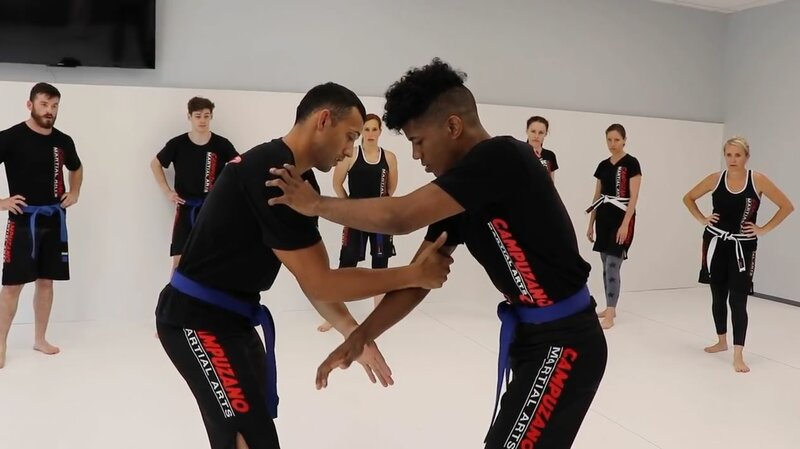 What’s it like to train at Campuzano Martial Arts? Check out some of our training videos below! Ready to take your fitness and confidence to the next level? Come try a free no-strings class to see if Campuzano is right for you! Just enter your information in the form on the right and we will contact you to schedule your free class time.